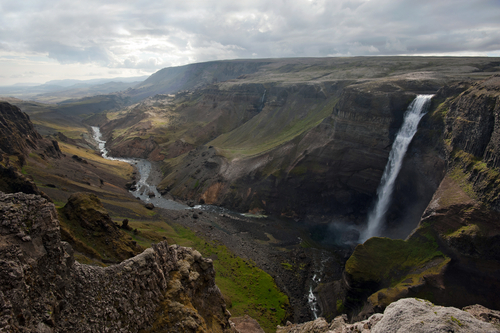 From the waterfall Háifoss to the Hjálparfoss are 13km of private fishing for 2 rods. 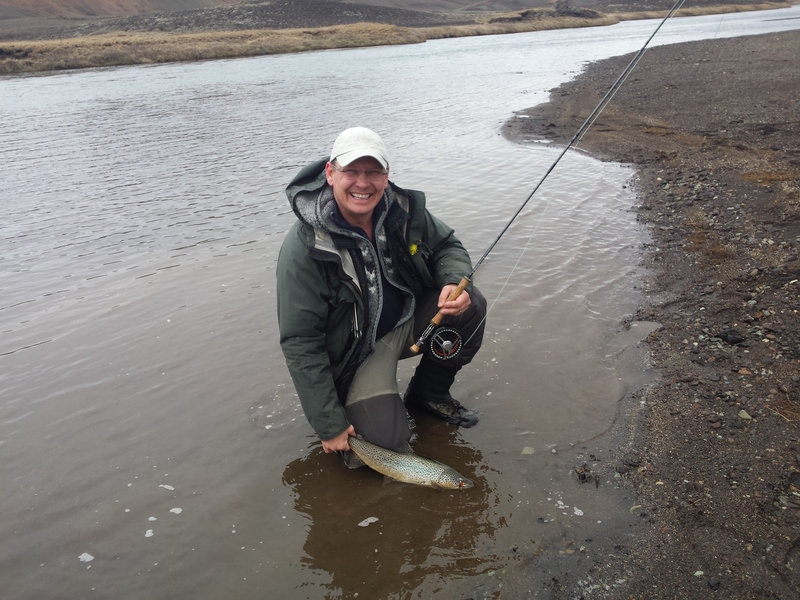 The beat has plenty of water to keep the 2 rods busy for the day. 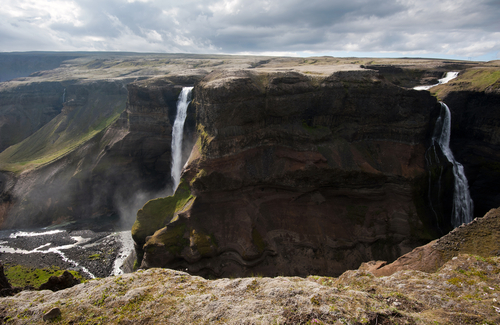 The top pool is the waterfall pool where the spectacular Háifossfoss fall 122 meters from the highland. 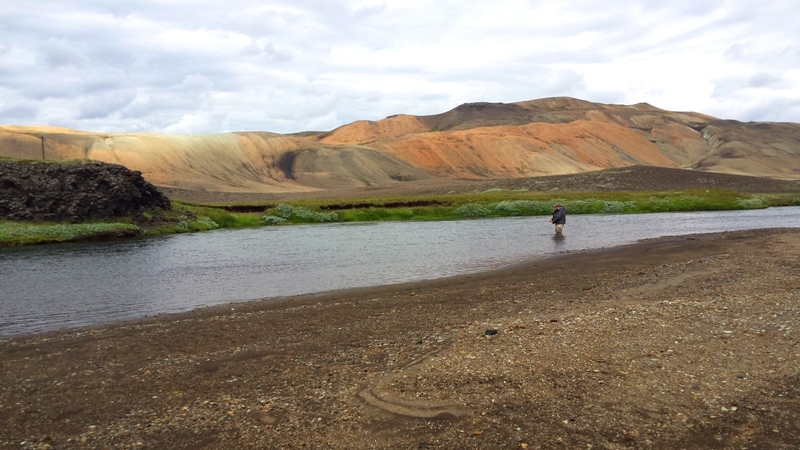 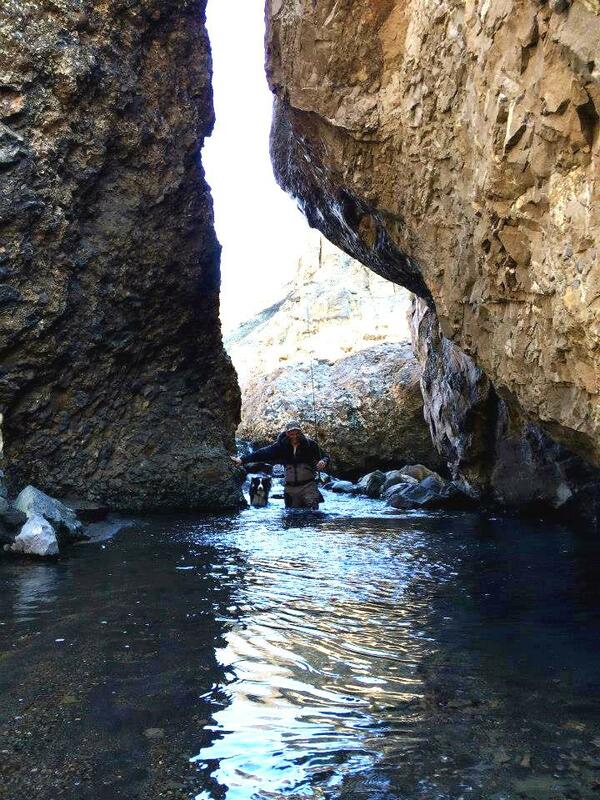 From the fall and next 2,5 km are you fishing in canyon where every moment is like being in a fairytale. 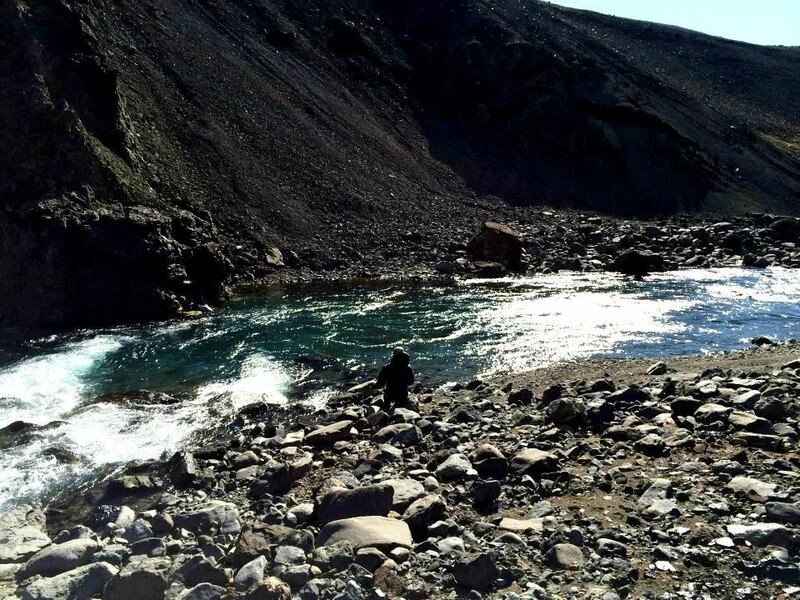 The rivers flow in rapids, slow wide pools and challenging tight stream. 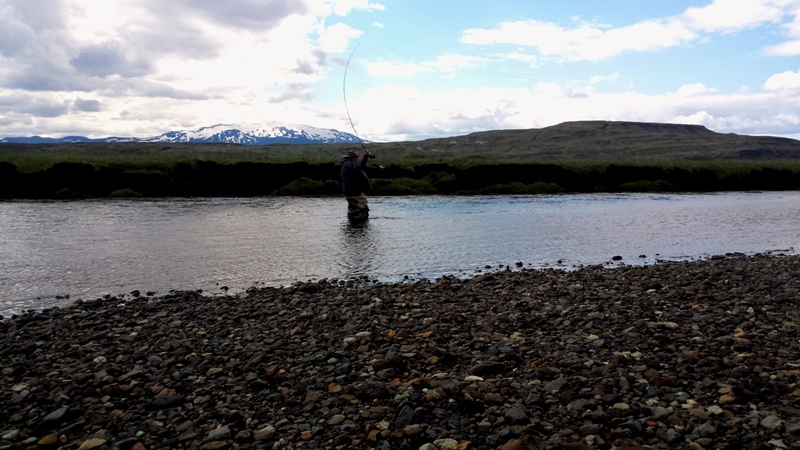 All angles are amazed by the unique landscape, and the good shape of the trout. 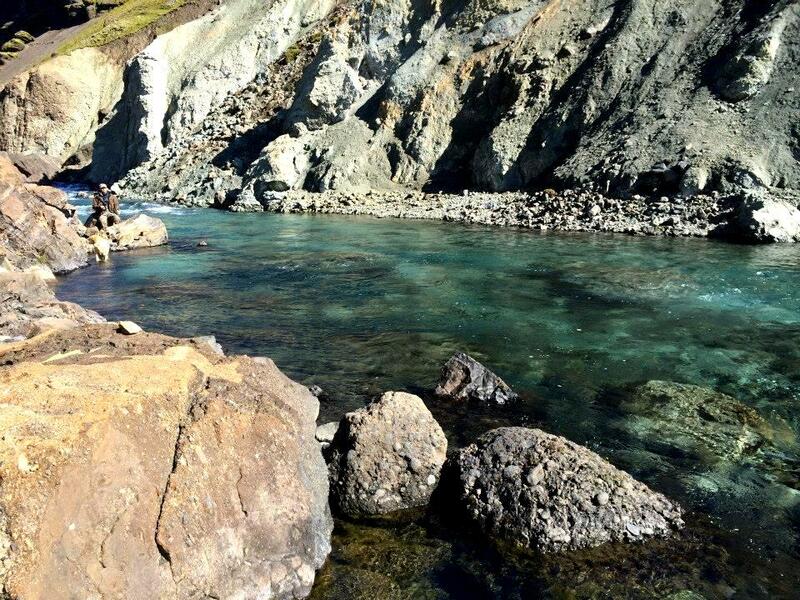 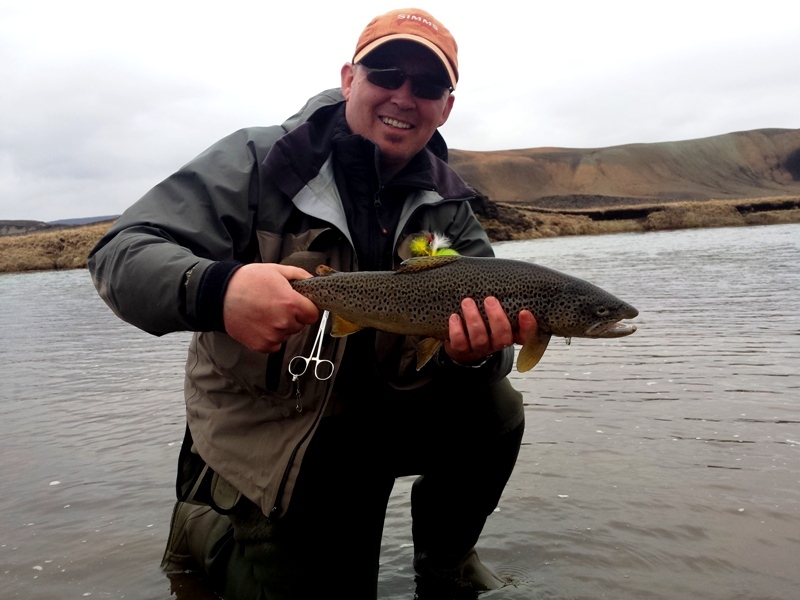 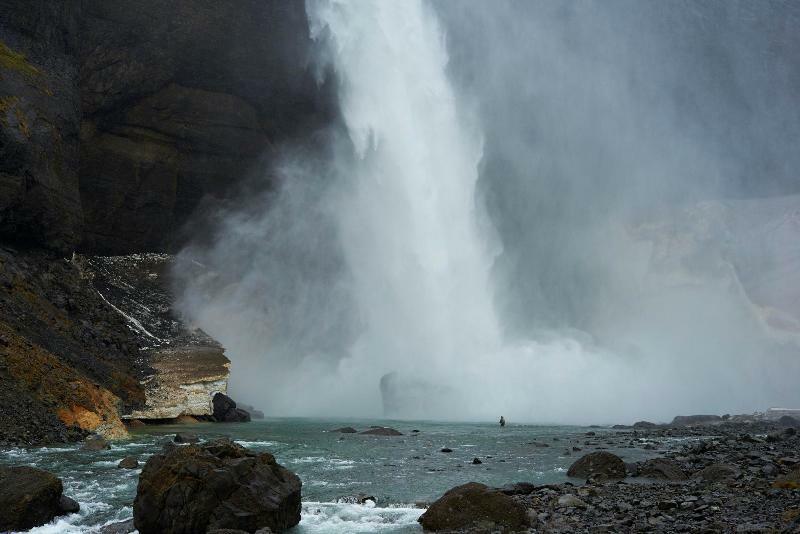 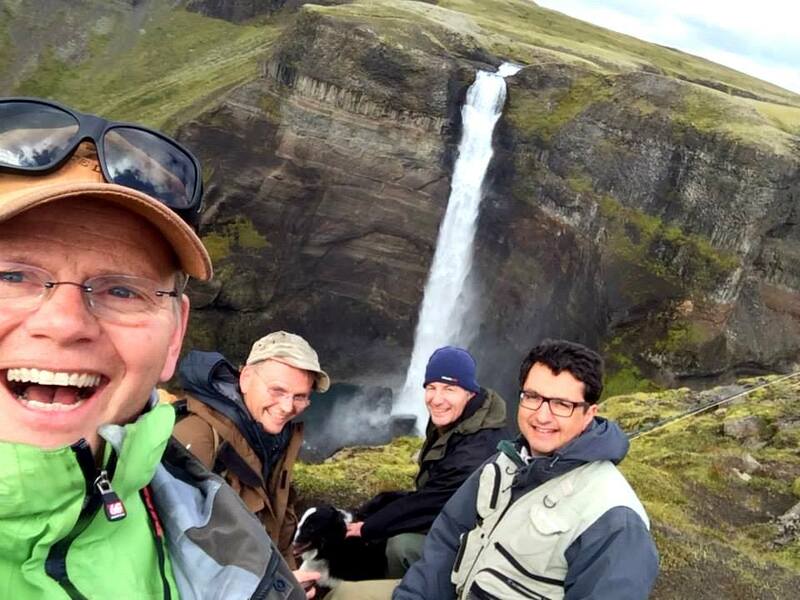 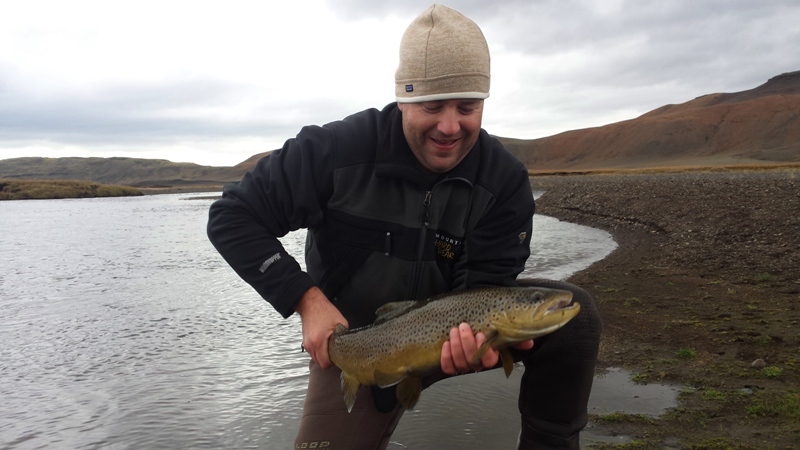 Fossá can offer you extreme trout fishing experience by walking the canyon (by choice) if you start fishing the waterfall Háifoss and walk the amazing canyon, or go the easy way where you can drive by the river and fish grassy banks. 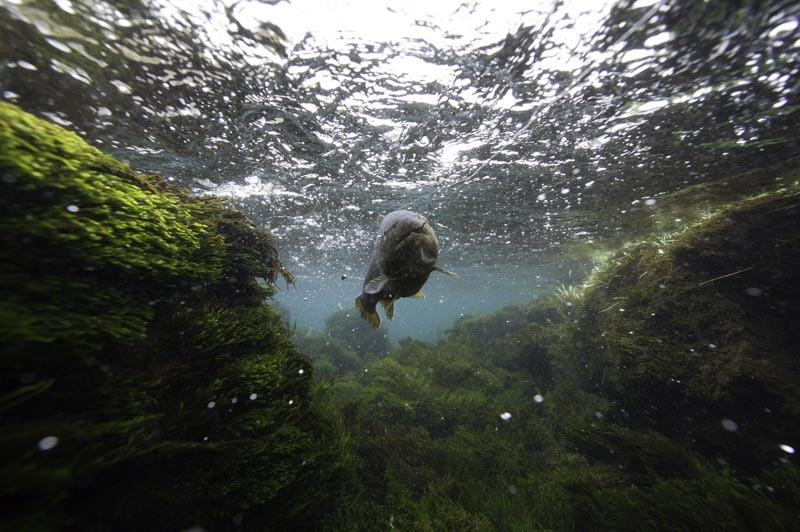 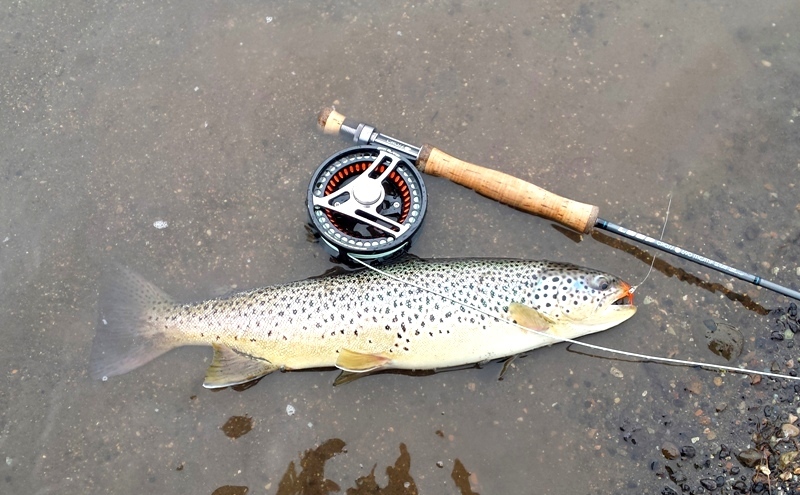 Average size of the trout is around 2 pounds and there is a good number of trout over 2 pounds. 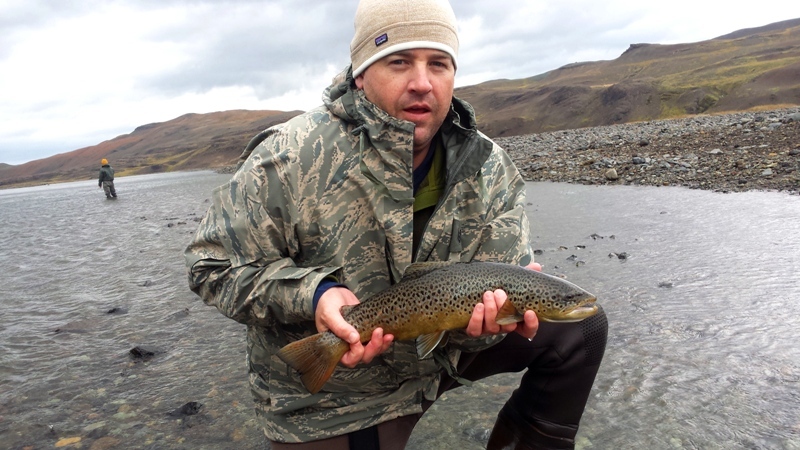 The trout fishing starts May 15th and only gets better until last day. 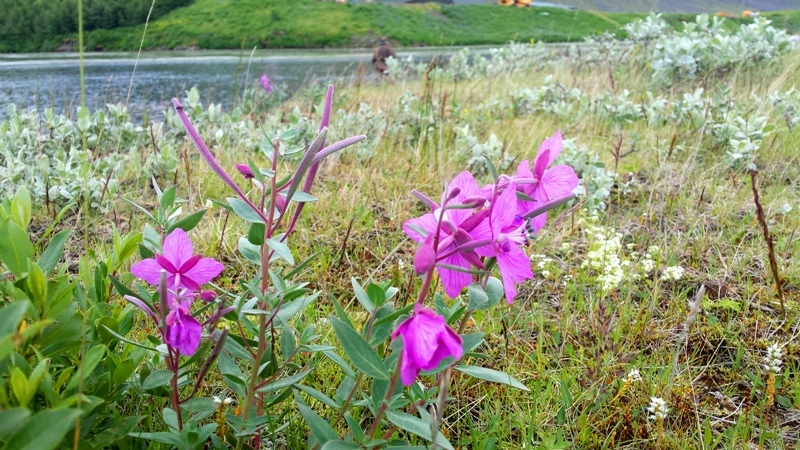 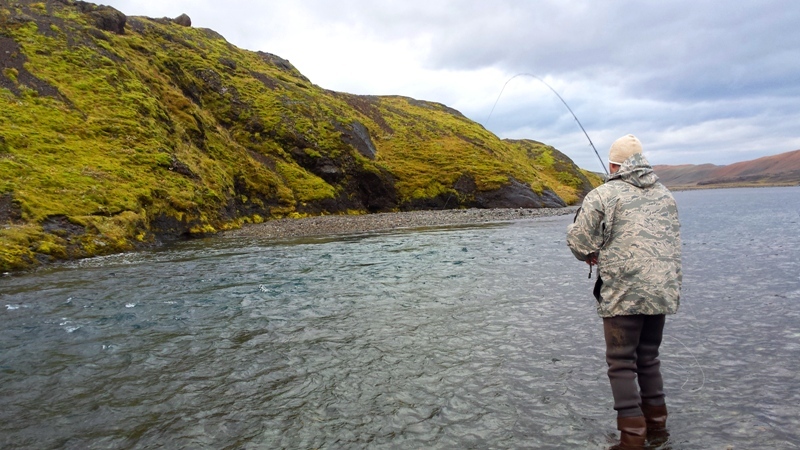 There is trout and Arctic char in the salmon beat as well and especially early season. 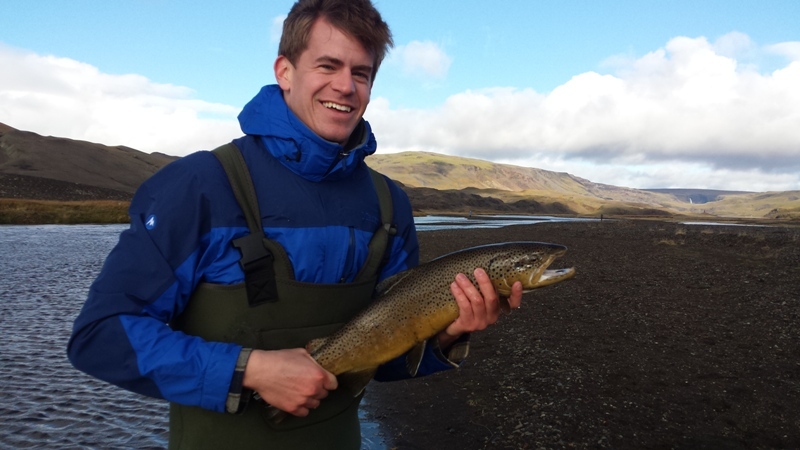 In September you can expect to catch sea trout in the junction pool.